InstaFridays weren't working for me, so it's a monthly feature now (as it pretty much was before). If you're on Instagram, I'd love to connect! 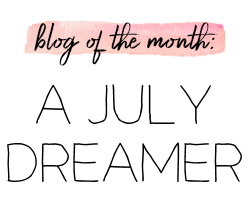 You can find me as "wendybanner" and I share little random moments from my day or blog-related content most of the time. 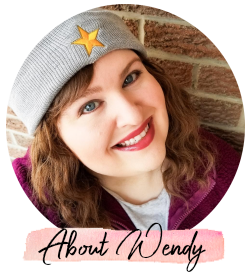 I also recently signed up on Snapchat and I still don't know if I love it yet, but I'm also "wendybanner" on there and I need more friends on my feed! Here are a few pictures from my Instagram during April! 1. Indy sporting his new bow tie. Such a fashionable little guy! 2. A quiet moment (rare, if you have read my various rants about my neighbors). 3. My last Target Canada haul. My heart still weeps. 4. I had a free drink on my Starbucks gold card. Everyone knows those are the best drinks. 5. My Taylor polaroids that I hope to do something pretty with. 6. It's always in the details. 7. My new iPhone 6. Best purchase of the year. 8. Broke out my sushi set to have a nice lunch at home. Feelin' all fancy. 9. Hooked on Next Issue Canada and I can't stop reading. Get a free trial! 10. Planner addict for life! The accordion file holds my stickers. 11. My days are better when some pink is involved. 12. Tim Hortons in Canada has LE Nutella pastries. The donut is good, but it's the Pockets that are life. 13. I mix a little bit of cookie butter with peanut butter for my apples. So good! 14. After a blogging webinar, I needed a little break. 15. Some of the items from my SampleSource box. This box was amazing. Are we friends on Instagram yet? I love seeing what everyone is doing!